The UFCW is pleased to welcome a new addition to our union family: the hard-working men and women of the Linden Hills Co-op in Minneapolis, Minnesota. Workers at Linden Hills Co-op won their election Thursday to form a union with the United Food and Commercial Workers, Local 653. Eight-five percent of workers voted in favor of unionization in balloting conducted by the National Labor Relations Board. UFCW Local 653 were excited to extend a warm welcome to the new co-op members. “I’ve been a meat cutter and member of UFCW Local 653 for 10 years. I look forward to welcoming the Linden Hills co-op workers as brothers and sisters in our union and fighting together to improve retail standards across the Twin Cities,” said Anthony Lanners, who works at Festival Foods in Andover. Most of all, Linden Hills workers are eager to get to work building an even more engaged and democratic workplace that can serve as a model for the rest of the community. “Giving all workers a voice will make employees feel more involved in improving the Co-op,” said Front End Floor Coordinator Evan Adams-Hanson. “Cooperative principles teach us that co-ops are democratic organizations that work for the sustainable development of our communities. Unionizing Linden Hills Co-op will extend those principles within, to the workers of the co-op, who seek sustainable employment and a collective voice. I look forward to the merging of these principles and ideals that will form a stronger co-op, together,” said Produce Stocker Cassie Nouis. WASHINGTON, D.C. — Marc Perrone, International President of the United Food and Commercial Workers (UFCW) Union, made the following statement about hard-working employees and employers across the U.S. standing together in “A Day Without Immigrants,” which calls attention to the vital role immigrants play in every community. “From the beginning of this nation, immigrant workers from all over the world have come to this country to work hard and build a better life. Yet, many workers, and many UFCW members continue to suffer from the effects of our broken immigration system. Our members help put food on our nation’s tables and serve customers in all 50 states, Canada and Puerto Rico. 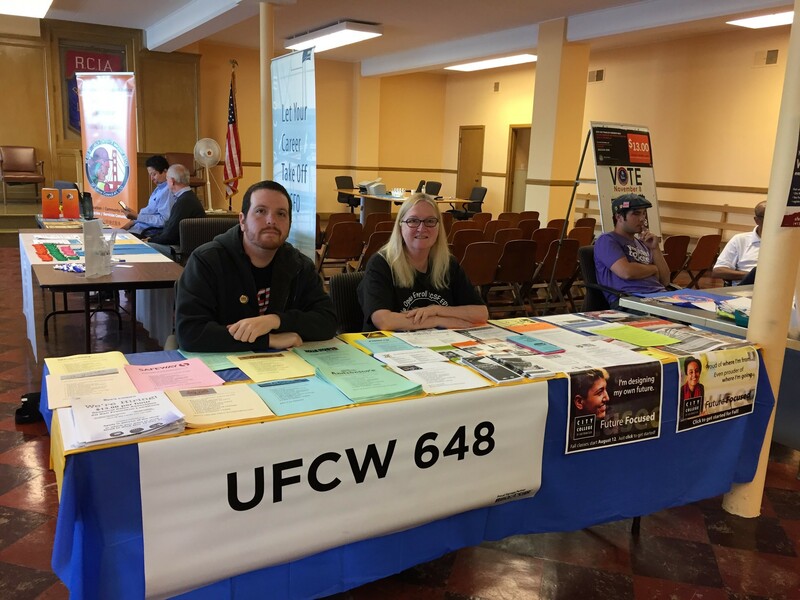 After 30 years of service to her union, long-time UFCW Local 1445 member Janice Feinberg says her mantra is to spread the word about what being part of union family means, and what it has meant to her. “My husband calls me Norma Rae,” Janice jokes, recalling the role played by Sally Field in the famous movie about a factory worker advocating for union representation on the job. Now 73 years old, Janice has been serving her community as a retail employee for the past three decades, as well as a UFCW member. Beginning her career at Filene’s, she is now retiring from Macy’s. Janice notes that it was being a part of the UFCW and working with the caring people at her local union that enabled her to have such a long and steady career. After the experience she’s had, says Janice, “I would never work a non-union job.” Over the course of her time at Macy’s, Janice was offered other positions that were closer to her home, but she turned them down when hearing they weren’t union jobs. We are thankful for people like Janice in our union family, and wish her luck in her next chapter! Looking to further your education? The UFCW Charity Foundation Scholarship is now accepting applications from UFCW members and their families. Ana is now attending New York University in Manhattan, New York and is studying Film and Television. Katrina is now attending Lock Haven University for a major in Therapeutic Recreation with a minor in Psychology. Jocelyn is now attending the University of Rochester. Hannah is now attending Harding University in Arkansas for a Nursing degree, because she’s always liked helping and caring for others, and has always wanted to save a life. Douglas is attending Saint Louis University in St. Louis, MO and studying biology, pre-med. Karen currently attends the Keller Williams school for Real Estate in Colorado Springs. After she finishes her exams, she plans to study possibly German or History at Pikes Peak Community College or University of Colorado, Colorado Springs. Tamana is now attending Mount Holyoke College for a Pre-med. degree, because it’s a great field that combines science and working with others. Sarah is now attending University of New Brunswick St. John for a Bachelor of Business Administration, because she’s always liked organization and numbers. Apply online for the 2017 Union Plus Scholarship. The Union Plus Scholarship Program has provided more than two decades of higher education support for working families. Since 1992, Union Privilege, through the Union Plus Scholarship program has helped fulfill the educational dreams of students representing more than 13 million working families across the nation. The Union Plus Scholarship awards are presented annually to union members or members of their families who want to begin or continue their post-secondary education. In 2016, some 104 union members and union family members were awarded $150,000 in scholarships, ranging from $500 to $4,000. The students selected for awards represent a wide sampling of demographics, union affiliations, goals and accomplishments. Representatives from the American Association of Community Colleges, the American Association of State Colleges and Universities, the National Association of Independent Colleges and Universities judged the applications. According to the judges, the caliber of students this year made the selection process very challenging. The students are from diverse backgrounds, and as a whole, they received top SAT scores, were well-rounded in their studies and extracurricular activities, and they understood the value of working families and union membership. In addition to demonstrated academic ability, applicants submitted essays describing their career goals, detailing their relationship with the labor movement, and explaining why they are deserving of a union scholarship. The program is open to union members, their spouses and dependent children of unions that are participating in any Union Plus program. Individuals must be accepted into an accredited college or university, community college or recognized technical or trade school at the time the award is issued. Members do not have to purchase any Union Plus program product or participate in any Union Plus program to apply. The Union Plus Scholarship Program is offered through the Union Plus Education Foundation. Each year, the application deadline is January 31 and chosen scholarship recipients’ names are announced May 31. All applicants are notified when the award winner list is posted in early June. Apply now for this year’s Union Plus Scholarship. On Jan. 15, UFCW International President Marc Perrone was presented with an award at the AFL-CIO’s 2017 Dr. Martin Luther King, Jr. Civil and Human Rights Awards Luncheon and Community Service Weekend. The theme of the awards this year was “The Struggle Is Free, But the Dream Must Be Televised” to represent the constant battle for civil rights and justice that continues in our country. The “At the River I Stand” award is the highest honor given by the AFL-CIO Civil and Human Rights Executive Council Committee. The name of the award comes from the historic words used to capture the spirit of the 1968 Memphis sanitation workers during their courageous struggle for workers’ and civil rights. Alongside his fellow award recipient, USW Vice President Fred Redmond, President Perrone has served as a fearless leader of the Labor Commission on Racial and Economic Justice, taking action to serve the needs and concerns of their members, and shepherding the Labor Commission report to help union leaders have a better understanding of how racism and racial politics has impacted and continues to shape the labor movement. Upon accepting his award, President Perrone addressed the attendees, emphasizing that “we must stand together stronger than ever” in our quest for justice. How does the Union Plus Scholarship Program work? This is a competitive scholarship. Applicants are evaluated according to academic ability, social awareness, financial need and appreciation of labor. A GPA of 3.0 or higher is recommended. The required essays can account for up to half your total score. Scholarship applicants are judged by a committee of impartial post-secondary educators. Applications are available starting in mid-June, and a complete application must be received on or before 12:00 p.m. (Eastern Time) on January 31, 2017. Applications received after this deadline will not be considered. Amounts range from $500 to $4,000. These one-time cash awards are for study beginning in the Fall of 2017. Students may re-apply each year. The Scholarship Committee will determine recipients of scholarship awards by May 31 each year. During the first week of June award recipients will be individually notified by mail, and all applicants will be sent an email with notification that the award list is posted here. Please note that due to the volume of applications we cannot provide any information on the status of an application before award announcements are made. Members of United Food and Commercial Workers Local 293 and the JBS beef packing plant presented a check for $10,000 Monday to six local programs that serve the Grand Island area during the holidays and year-round. The recipients were the Hero Flight program, Central Nebraska Humane Society, Christmas Cheer, the Salvation Army, Head Start Child and Family Development and Toys for Tots. “No one should go hungry during the holidays and every kid ought to have a toy,” said Terry Mostek of UFCW Local 293. Mostek, who has been coordinating the donations for 10 years, said this year they added the Hero Flight program, which give veterans an opportunity to visit memorials in Washington, D.C. They are currently raising funds for their next flight of Vietnam vets to the nation’s capitol, scheduled for the spring of 2017. Don Shuda, Hall County veterans service officer and representing the Hero Flight program, said the donation will make it a reality for one Hall County Vietnam veteran to make the trip next year. Dethloff said the donation is especially needed this time of year for the many dogs and cats the society takes in during the holiday season. Dethloff said some people abandon their older pets, which puts additional pressure of the humane society resources. Ammie Joyce, who represented Head Start at the ceremony, said the money it’s receiving will be used to fill food boxes for families during the holidays. Major Chuck Yockey of the Salvation Army said its funds will be used to supply its food pantry for the holiday season. Don Smith, representing the Christmas Cheer program, said the money will go to help feed needy families during the holiday season. Christmas Cheer helps families by giving out food vouchers at Christmas. In its 106th year, last year Christmas Cheer provided vouchers to 1,009 families and 3,479 individuals. Heartland United Way operates the Toys for Tots program. Toys are given to kids age 12 and younger. The program serves about 2,000 kids each year. To help the Heartland United Way with its programs or help organizations supported by the United Way, visit www.heartlandunitedway.org or call (308) 384-3178. If you have stories of how UFCW members in your area are helping out in the community, email us at submissions@ufcw.org. In November 2014, California voters passed Proposition 47, a measure that reduces certain low-level crimes from potential felonies to misdemeanors. The savings from reduced incarceration costs are invested in drug and mental health treatment, programs for at-risk students in K-12 schools, and victim services. 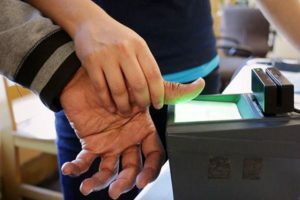 Over one million Californians quality for Proposition 47, but only about 250,000 people have petitioned to have their records changed. Proposition 47 was due to sunset in November 2017, but Governor Jerry Brown recently signed AB 2757 to extend the time to petition for another five years. Last month, UFCW Local 1208 partnered with United Way of Robeson County to distribute much needed food to members across southern North Carolina and northern South Carolina who are still struggling to recover from the devastating effects of Hurricane Matthew. The event, which was held at the Family Dollar in Lumberton, provided assistance to over 150 workers and their families. 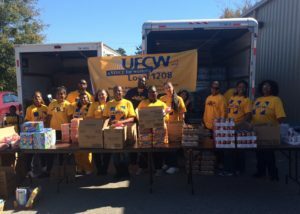 Members of UFCW Local 204, along with the Second Harvest Food Bank of Southeast North Carolina and corporate partners like Kroger and Kellogg’s, also donated items to help Local 1208 members and their families. Stephanie Franklin, a member of Local 1208 who has worked at Smithfield Foods in Tar Heel for more than 11 years and lives in Lumberton, was one of the recipients. UFCW Local 1208 worked with Smithfield Foods to ensure that everyone at the plant in Tar Heel received a full week’s pay when Hurricane Matthew struck, regardless of actual time on the job. Members of Local 1208 have contributed more than $10,000 to United Way of Robeson County to help their community recover from Hurricane Matthew.